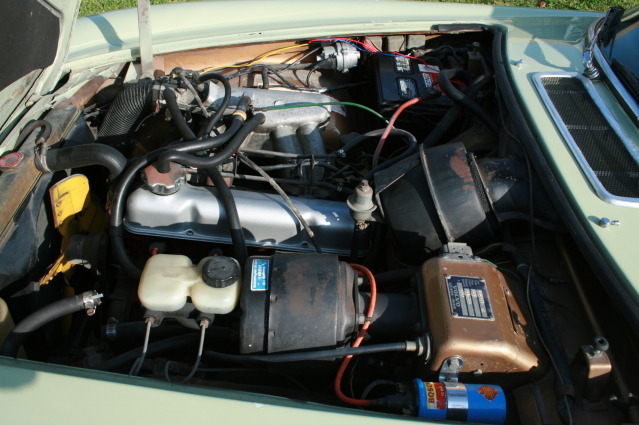 The 1971 1800E is powered by a 2.0 liter inline-4 engine, the B20E, which used Bosch D-Jetronic fuel injection to increase horsepower to 130 while increasing fuel economy and cold weather performance. Carburetors look great with the hood up, but honestly we prefer a good fuel injection setup over just about any venturi equipped flow device. 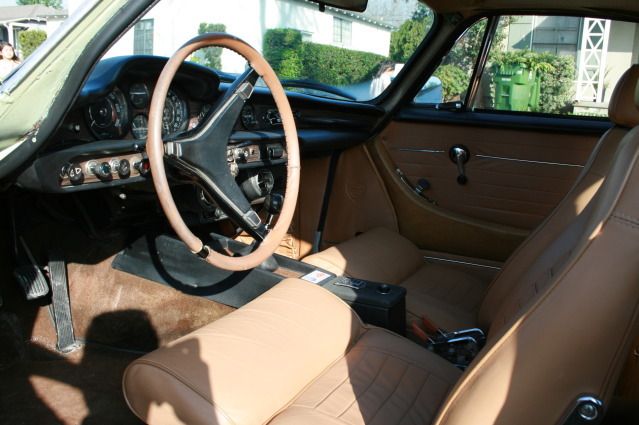 The inside of this 1800 is in very nice shape - the leather seats have recently be reupholstered and the dash and headliner are crack/rip/stain free. We like the interior on the 1800 series - it is a mixture of British and German sourced components, but with a decidedly quirky flair. Very sweet! 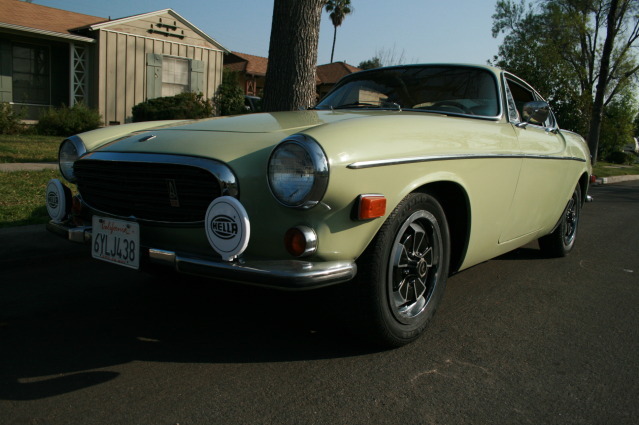 This 1800E would certainly make the list of cars cool enough to take to Targa California, and it's affordable too! Today, the 1800 offers a level of chic Euro styling that is unmatched by much of anything in its price range, so we will continue to rave about them, at least until they start to sell for six figures on Barrett-Jackson. Just a note for Mac users in general,the color of the car is not that bright in person as it shows on your display. Tamas is my undoing. Jesus, he just keeps finding these cars and dangling them seductively in front of me on a regular basis. How many 1800s does a guy need? ~ he tosses temptation like the Globetrotters!
. on Windows the color appears dark and/or underexposed. Just not feeling the light green. Although its an improvement from its original gold it seems weird to have repainted a '71 in a colour only available on '66/'67s. 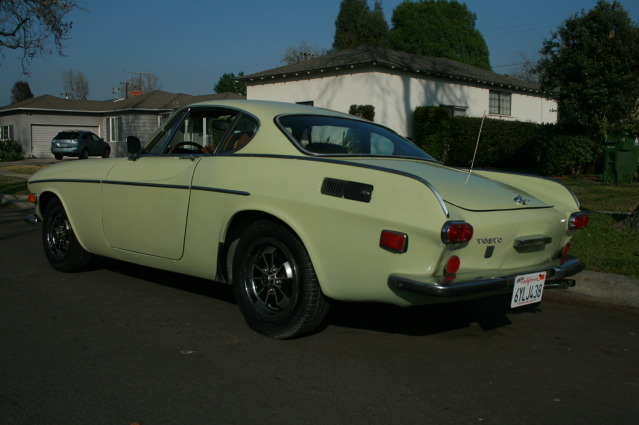 Right year though, the '71/'72 is where I'm looking. Guess I'll wait for his next 1800 project! The turquoise one pushed a button in me, too. Alas, that one found a new home across the pond where they already have all those cool cars. Damn those lucky Europeans! Incidentally we also have a '66 1800S in the Daily Turismo fleet that was originally painted in #91 light green, and will be resprayed to its former minty glory. It's a rare yet becoming muted pastel shade that really works well with the classic flowing lines of an 1800.